Remember! – It is Christianity TO DO GOOD always – even to those who do evil to us. It is Christianity to love our neighbour as ourself, and to do to all men as we would have them Do to us. It is Christianity to be gentle, merciful, and forgiving, and to keep those qualities quiet in our own hearts, and never make a boast of them, or of our prayers or of our love of God, but always to shew that we love Him by humbly trying to do right in everything. If we do this, and remember the life and lessons of Our Lord Jesus Christ, and try to act up to them, we may confidently hope that God will forgive us our sins and mistakes, and enable us to live and die in Peace. The entire book can be read here. 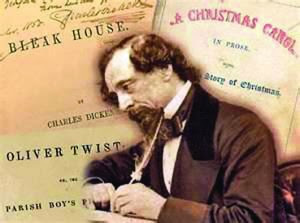 For a thorough summary treating the views of Charles Dickens in regards to Christianity, I encourage one to read "The Faith Behind the Famous: Charles Dickens" from the magazine Christianity History (Issue 27, 1990). The entire article can be read here. Try to do to others, as you would have them do to you, and do not be discouraged if they fail sometimes. It is much better for you that they should fail in obeying the greatest rule laid down by our Saviour, than that you should.